Race suits. They’re part of every swimmers essential equipment. Even in the pre-tech suit days, swimmers had their favourite suits that were saved for racing, and in some cases for particular races. But things change and move on and now it’s possible to spend upwards of £300 on a suit for racing in if you want to get the very latest in technology. But do you need to? Certainly if you want to be at the bleeding edge then, yes, you do, but for most swimmers that’s not essential. So what happens if you come down the price range? Do you still get a good suit; is there a big enough difference to the top suits to be worth the money? I tested two suits from the budget end of the market to try and answer that exact question. The front is seamed along the brief line so fits well without constricting movement unduly. The suit is quite low rise, and I found it was prone to flushing water down the back from the dive and turns unless significant care was taken in positing the waistband and tightening the draw string (Note that the newer Elite 2 comes in a high waisted version that would avoid this). In the water the fabric shed water well and compression was excellent. Care is need with the bonded seams, since as most people size down for their race suits, they come under a lot of stress. A teammate split his similar suit at the seam, but I found no particular issues. This suit was purchased for £60, albeit it’s hard to track down now and instead the replacement LZR Elite 2 can be found for just a touch more. At that price this suit was great value for money. 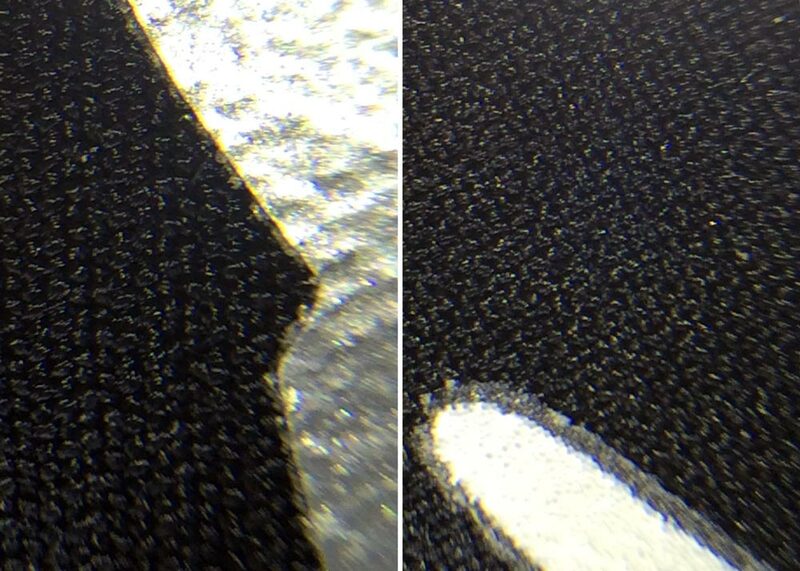 Looking at the suits under the microscope gives clues to the differing properties. The weave of the Powerskin (left) runs fairly straight lines, which run across the suit horizontally. This gives reasonable compression around the legs, but is why it is much stretchier up and down. The Speedo fabric (right), on the other hand, is woven in a series of interlocking circles. That makes it stiffer but more uniformly stretchy and explains both why it’s harder to get on and why the compression is better than the Arena. 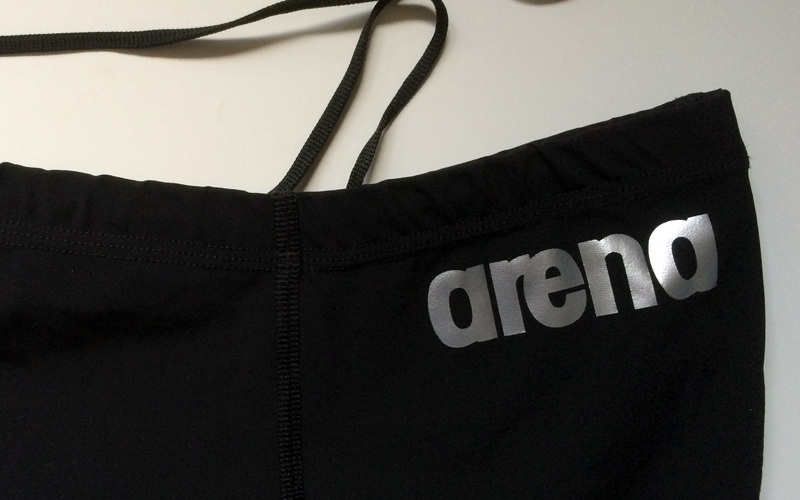 The Arena Powerskin ST X Raptor jammers can be found for under £40 online at the moment, which is not a lot to pay for a race suit. It looks and feels quite like the original Powerskin, which was one of my favourite ever suits (I still have a pair in use) so I had high hopes. But whereas the Speedo suit was a top quality, but superseded, suit that had fallen in price, it’s clear that that this Arena suit has been designed down to a budget. There are no bonded seams, instead the suit sports raised flatlock stitched seams, and the suit is constructed from just two panels. That means the front feels a bit odd and when you bend there is a lot of spare material that creases up. The suit has a modesty lining at the top which feels a bit weird, and which you need to make sure it is tucked in as it’s quite loose. Let’s not beat about the bush. 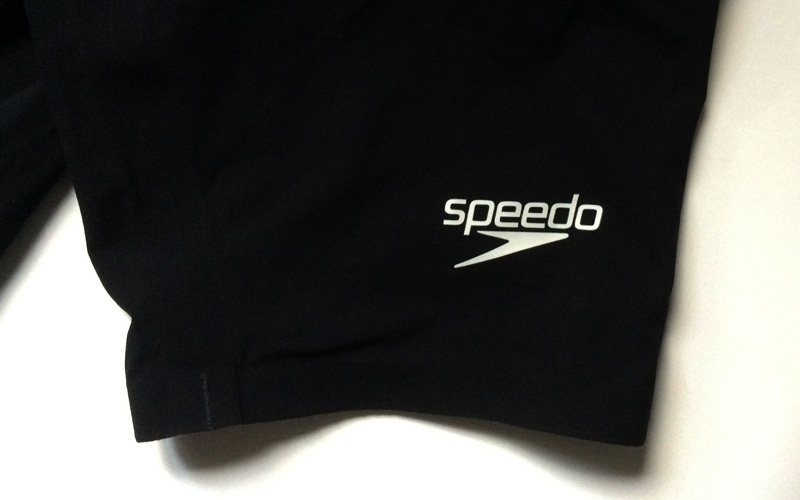 The LZR is clearly the superior suit of the two, but then it ought to be given its provenance. The Powerskin though is perfectly serviceable and will, in all likelihood, do the job for most age groupers or masters, or those not competing at the highest levels. Neither suit is as good as the Adidas jammers also recently tested, but is the difference worth in excess of £100? Quite possibly not. If budget allows then the step up of around £20 between these two examples is very well worth paying, and in more general terms, the strategy of seeking out older, top level, suits that have come down in price would be recommended over buying a budget suit. Both suits were the author’s own purchases. See also our review policy.